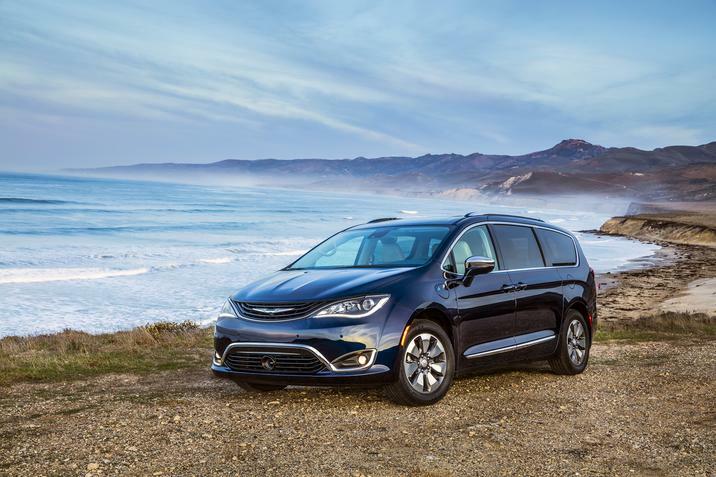 There are so many features to love in the Chrysler Pacifica and for 2019, those amenities either come standard or become available in even more model choices! This minivan has already won many awards and the hearts of Central New Jersey drivers looking for a family vehicle. But, there are a total of 10 updates that we feel you should know about before making a decision on which Pacifica to buy or lease. Please keep in mind that other than these enhancements, the feature lineup & capability stays the same for the 2019 edition than the 2018. 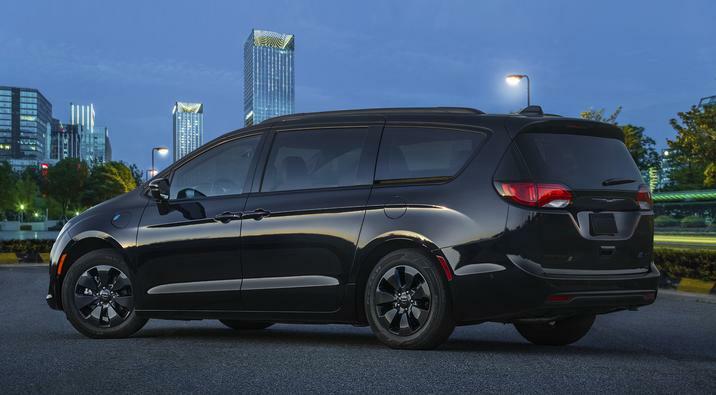 The Chrysler Pacifica S Appearance Package made its debut last year, providing blacked-out design cues including a Black Noise finish on the wheels, Gloss Black exterior accents and an all-black interior with seats having Light Diesel Gray accents & the “S” logo. This upgrade is now available on all Hybrid models as well as the gasoline-powered minivans. The 2019 Chrysler Pacifica LX has added auto headlamps as a standard feature. These headlamps turn on automatically anytime you start your vehicle and go off when you turn the ignition off, so you’ll always have extra visibility and you won’t have to worry about leaving your lights on. The sun’s glare can be quite annoying when you’re driving on the NJ Turnpike, Garden State Parkway and I-78. That’s why we’re happy to let you know that an auto-dimming rearview mirror now comes standard in both the regular & Hybrid versions of the Touring Plus & Touring L trims, which dims based on how much sun is hitting the mirror. Cold weather is typical in Union County NJ and the 2019 Chrysler Pacifica adds a heated steering wheel to the regular & Hybrid Touring L model to combat that. Winters will be a lot more comfortable knowing that your hands will be warm even without gloves on once you turn the wheel’s heating capability on. 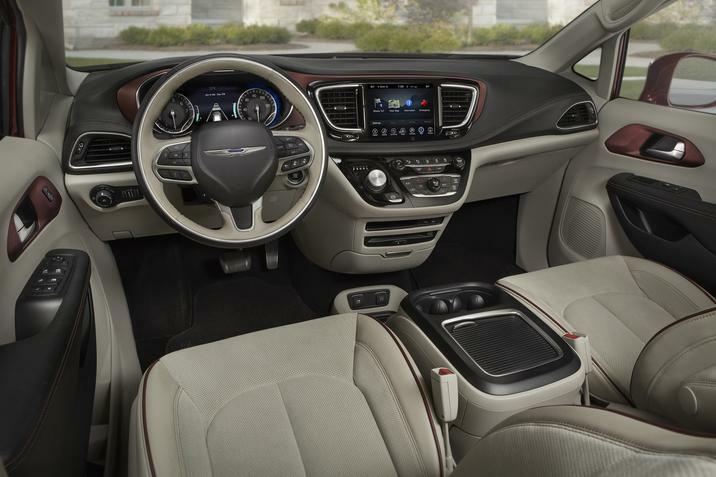 A great feature for when multiple drivers get behind the wheel, the 2019 Chrysler Pacifica Hybrid Limited now comes standard with memory capability for the seating positioning, audio settings and outside mirror positioning. This convenience makes it so simple for you to get comfortable and feel safe driving your loved ones. Speaking of the outside mirrors for the Pacifica Hybrid Limited, they can now fold in and out via the push of a button. This means you can put your mirrors in if you’re on a Main Street in your hometown or driving to a more urban area with narrow roads, so you won’t have to worry about missing a mirror when you go to drive to your next destination. 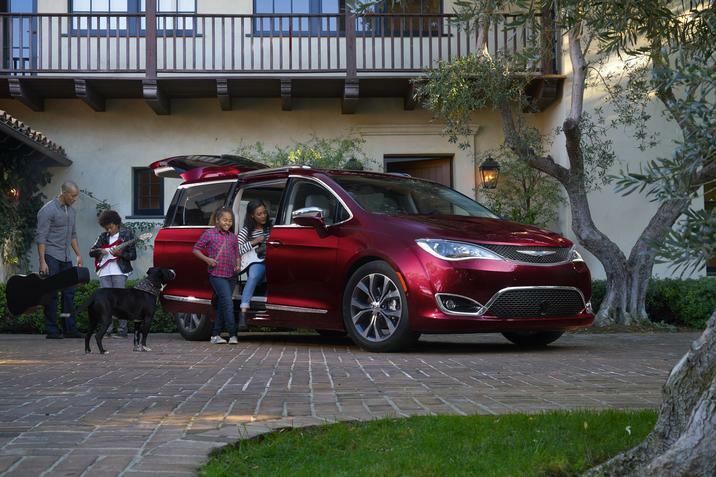 One of the exclusive features for the Chrysler Pacifica is Auto Advance ‘n Return. Now coming standard in the Hybrid Limited trim, the driver and front passenger seats can be moved with the push of a button to make room for people to get into the 2nd row. There are a new set of wheels you can get on your Pacifica: 17” polished wheels with painted Tech Grey pockets for a sportier look. These wheels come standard in the Touring L Plus & Hybrid Limited and are available as an option on the other Hybrid models. Salerno Duane will help you find the 2019 Chrysler Pacifica that best fits your driving needs and budget here at our dealership serving Springfield NJ. Contact our team today & learn more about this award-winning minivan!